Exercise physiologists are university qualified allied health professionals that specialise in the prescription and delivery of evidence-based exercise interventions for the prevention and management of acute and chronic diseases and injuries. 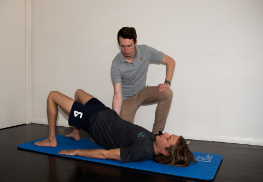 With the help of tailored exercise programs, group classes and health education, our exercise physiologist Jack aims to restore your optimal physical function and quality of life through empowering clients to modify their lifestyle by implementing positive behavioural changes. Jack is registered with Medicare (CDM Plans), Department of Veteran Affairs, TAC and WorkSafe, and by most private health insurers. Our exercise physiologist Jack is registered with the NDIS. Jack is available to provide exercise rehabilitation services for those eligible for funding under the National Disability Insurance Scheme. Within a participant’s NDIS funding package, exercise physiology services come under the category of “Capacity Building Budget, and under the sub-category of “Health and Well Being”. NDIS-funded exercise physiology bookings have a duration of 1 hour, and can be provided as one-on-one consultations or group booking. Participants can also request for exercise physiology services to be provided at home, depending on the details of their plan. If you are an NDIS participant looking for exercise physiology services, feel free to call the clinic on 5253 2345 or come into the clinic at 63 High st, Drysdale.